I spent a week at a small cottage on a rocky point in Annisquam, which is on Cape May. 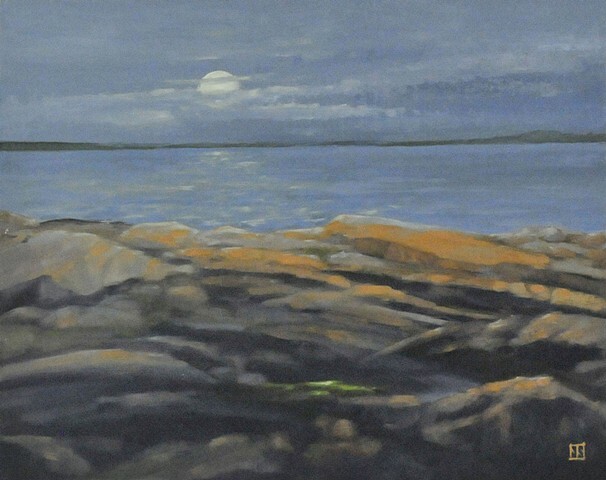 I was inspired to paint the granite rocks and was treated to a full moon on the first night of my stay. This is a studio painting done from field studies painted en plein air.